Tea Battle: Herbal Infusions Tea Co. I love tea. When it comes to winter I shun cold beverages in favour of hot teas with a pool of milk and a big spoonful of honey. 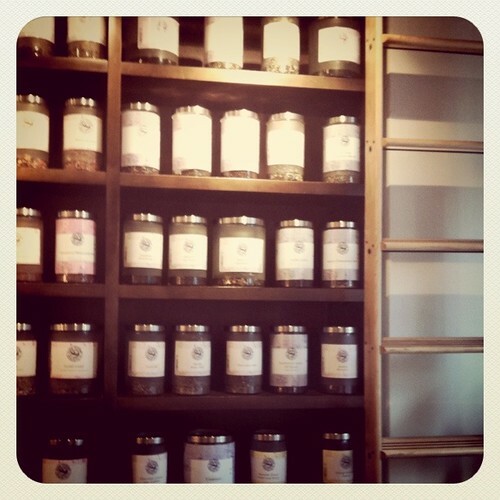 This Saturday Marisa and I were roaming the streets on a sunny Toronto day when we came across Herbal Infusions Tea Co. I've been wanting to try out their teas for some time now. If you're a Groupon follower, they often have deals onGroupon Now - where they initially got my attention. 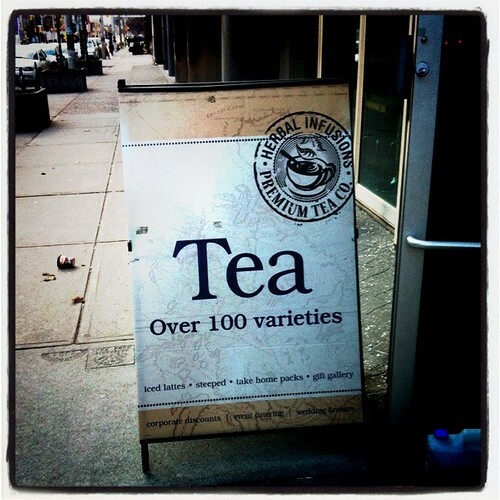 Herbal Infusions Tea Co. is a Canadian-based supplier of gourmet teas. They have over 100 varieties in store and you're allowed to open up a big jar and inhale the aroma before buying. I love this notion and it reminds me of the magical Kusmi tea stores in Paris. The cute little shop is welcoming and Dan was a huge help when we walked in. With his guidance we both settled on cacao matcha tea lattes with almond milk. The fact that this place serves almond milk alone is a huge bonus to me. It's my milk of choice when it comes to hot drinks and not available everywhere. Our teas were earthy, warm and comforting to carry around on a cold winter day and I'll be back soon! If you want to stop buy for a hot treat they are located in the heart of the fashion district at 404 Adelaide Street West in Toronto (just west of Adelaide and Spadina).